There has to be many out there like me who are tired and worn out due to the same content that Bollywood has been offering since ages. Now is the high time for a change. A change from the stereotype hero-heroine romance or the hero-villain fight. Well, behold the trailer of an army-inspired movie ‘URI’ that would give you goosebumps and make you patriotic. URI is inspired by the surgical strike that the Indian army carried out in Pakistan occupied Kashmir to avenge the Indian soldiers that were killed in a vehicle blast in URI base camp. Uri: The Surgical Strike is written and directed by debutant Aditya Dhar and produced by Ronnie Screwvala under his banner RSVP Movies. 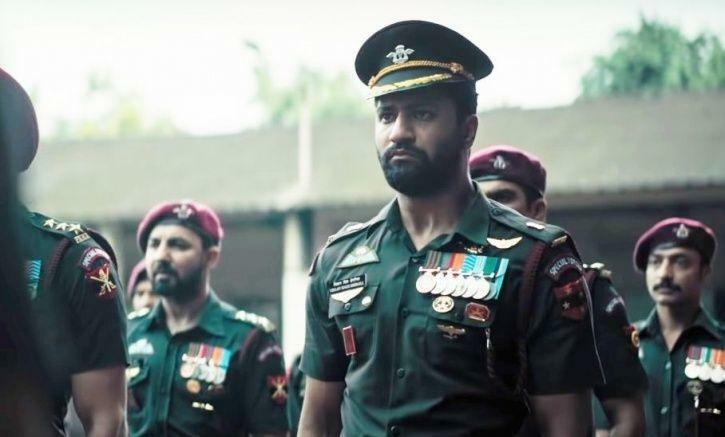 The movie features young and vibrant Vicky Kaushal alongside Yami Gautam and evergreen actor Paresh Rawal in lead roles. Vicky has established himself as a fan favourite actor within a short span of time. He is not an actor with Greek god looks or mouth-watering physique, whereas, a result of sheer talent. However, in this movie, Kaushal sports a serious, strict and disciplined look and without any doubt, we can say that he has done justice to his character. He has beefed up a bit and went through intensive training regimes to make himself fit for the role. URI drops on 11th January 2019.